Fr. Carl Arico is a founding member of Contemplative Outreach and is active on the Gift and Special Project committees. He is honored to have known Fr. Keating since 1969 and was present for the first intensive Centering Prayer retreat that Fr. Keating offered at the Lama Foundation in San Cristobal, New Mexico in 1983, which many founding members of Contemplative Outreach attended. Fr. Arico has been an integral part of the development of Contemplative Outreach from a wish to the organism it is today. 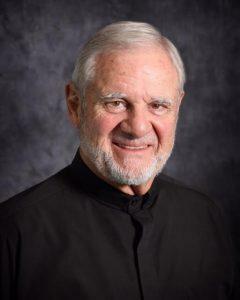 “The growth that has taken place in Contemplative Outreach,” he observes, “is a miracle of God’s grace and the power of prayer.” He has traveled extensively in the United States and internationally to present workshops and direct retreats. He is the author of the book A Taste Of Silence, a guide to the fundamentals of Centering Prayer and is well known to the contemplative community for the Q&A with Fr. Carl Arico that we all enjoy reading in Contemplative Outreach e-bulletins. This retreat is for anyone who is open to the gift of silence and Centering Prayer.